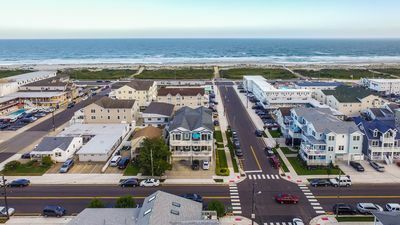 The Tides of Seaboard Point is a unique waterfront luxury condo community situated at the very tip of Anglesea/North Wildwood. 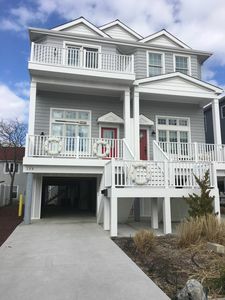 From the very private balcony of this gorgeous condo, you can enjoy the bay view overlooking the Hereford Inlet Marina with Stone Harbor in the background. 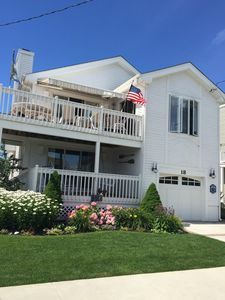 This complex is perfectly situated in a very quiet location of North Wildwood, right on the outskirts of Stone Harbor (2.6 miles), adjacent to the Hereford Inlet Marina, in walking distance to the North Wildwood Nightlife, and a short bike ride to the beach. 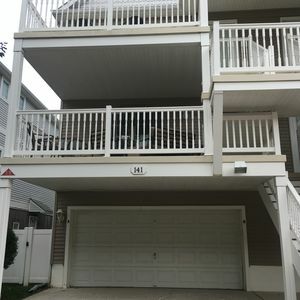 As you arrive and enter this newly renovated upscale development and head toward the 3 BR, 2 bath condo, you proceed through a secure entry way and use the elevator to travel to Unit 4104. The approx. 1960 sq. 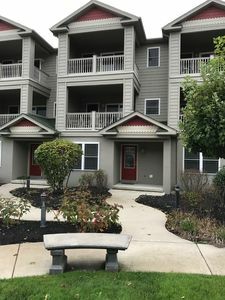 ft. unit is beautifully finished with new flooring in the master bedroom, hardwood floors in the kitchen, dining and family room, carpet in bedrooms 2 and 3, and furnished throughout. 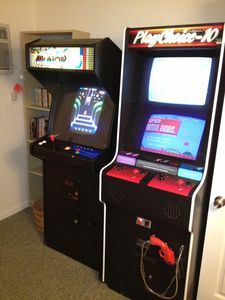 All furniture and appliances are no more than 2 years old. 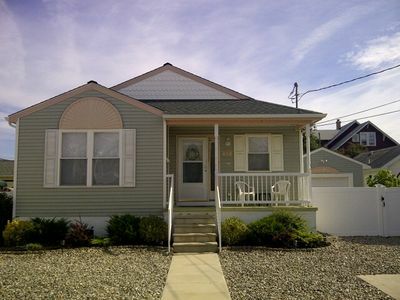 There is even an upgraded kitchen and a master bedroom with a luxury bath. 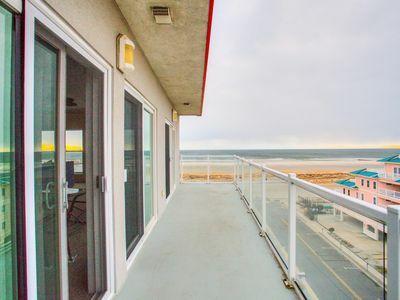 Enjoy bay views from your balcony. 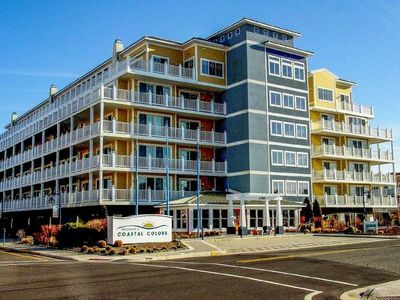 And if that isn’t reason enough to rent this gem, the complex has an enormous resort style pool with a hot tub and a children’s wading area. 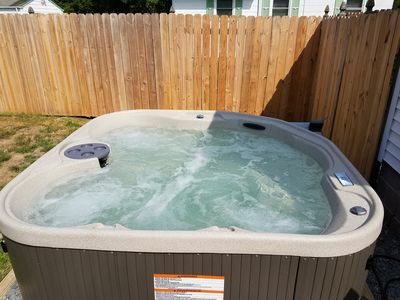 There is also an outside shower, tennis court, a clubhouse, billiards room, exercise room, volleyball net, gazebos, picnic tables, and built in grilling stations for your enjoyment. 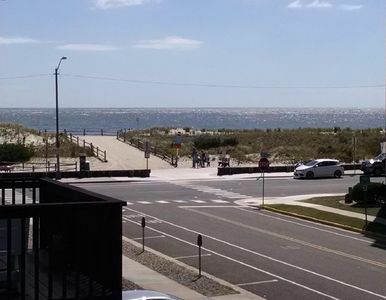 Relax away from the nightlife or choose to spend time on Wildwood’s world famous boardwalk, enjoy adjacent fine dining, nighttime entertainment, miniature golfing, or spend time on the only free beach in Cape May County. 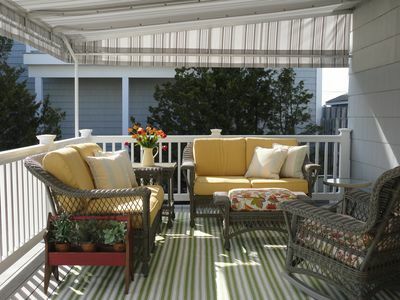 You are also close to great shopping locations like Stone Harbor, Avalon, and Victorian Cape May. 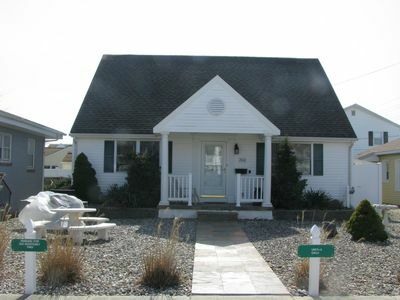 There is VERY easy access to and from the Garden State Parkway. 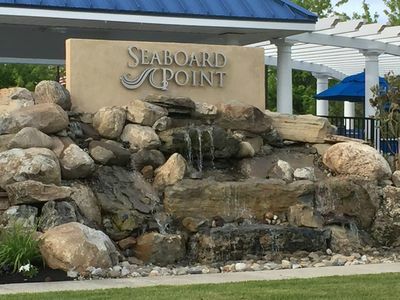 Your rental includes free high speed wireless internet access. 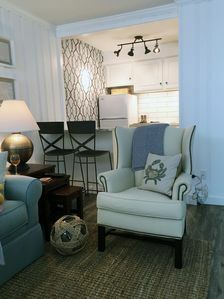 Nothing can compare to the Tides amenities, so reserve your space today. 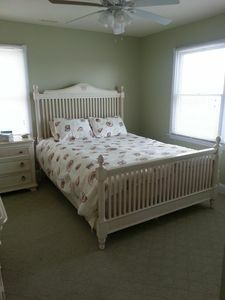 THIS PROPERTY IS AVAILABLE ON A 2 WEEK BASIS OR LONGER! 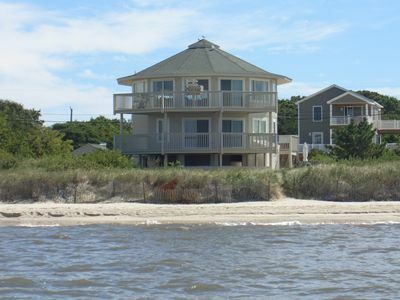 Perfect home for a relaxing vacation and creating lifetime memories. 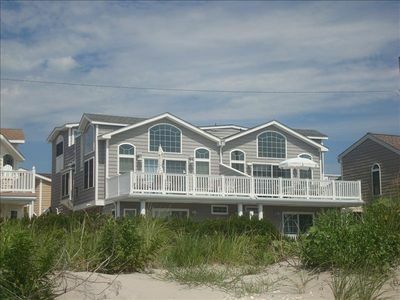 Beach Front Privacy. Nestled Between 52nd & 53rd St. Wow! Steps to the Beach! 2019 June & September dates still available. 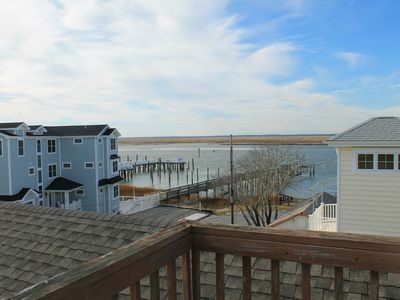 Bayside Beauty in Sea Isle - Townsend's Inlet! 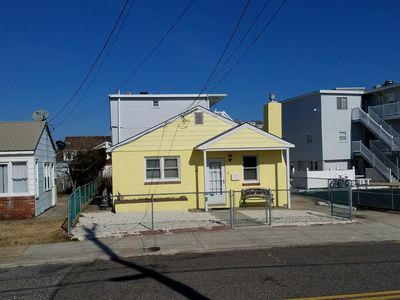 GREAT LOCATION Single family home half block from beach 311 E. TOLEDO AVE.
Beautiful Condo with Pool 1-block to the Beach! New Kitchen Summer 2019! 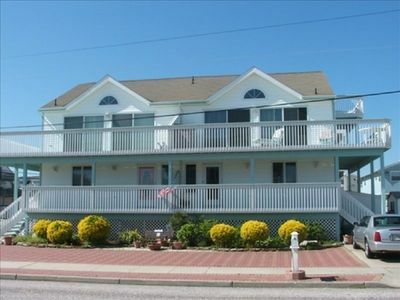 Close to everything the Wildwoods has to offer, 2.5 blocks to the boardwalk! .